Discussion vendredi 7 décembre : Contre tous les nationalismes ! 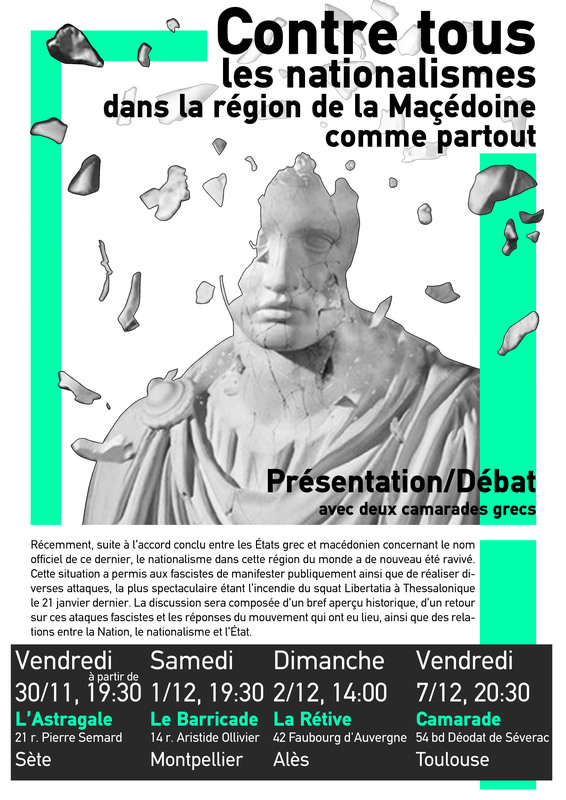 This entry was posted in General and tagged Grèce, Macédoine, nationalisme by camarade. Bookmark the permalink.